The Wimbledon Tennis Championship is one of the most highly anticipated sporting events on the calendar, particularly for British sport fans. The tournament begins on the 29th June this year, which is one week later than usual in order to allow competitors extra time to adapt to the grass surface after previously playing on the clay courts at Roland Garros in the French Open. 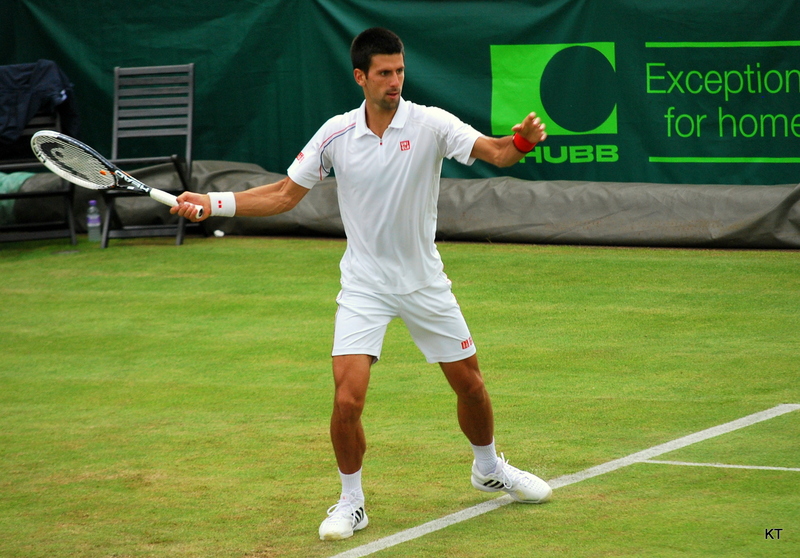 We take an early look at this year’s Wimbledon tournament and provide our thoughts and insight on who could be crowned champion in both the women and male events. Fairytale victory for Andy Murray? Andy Murray – who recently married long-term partner Kim Sears – is one of the favourites to win this year’s event and he will certainly be well supported at the venue. Murray earned a place in British hearts after his agonising defeat to Roger Federer in 2013 but the 27-year-old bounced back well and became the first British winner of the men’s singles title since Fred Perry in 1936. If the Scot was to earn his second Wimbledon title, he would definitely be a popular winner and the vast majority of the crowd will be behind him at each of his matches. Nowadays, the Serbian heads into most major tournaments as the bookmakers’ favourite – and that comes as no surprise. The world number one is playing some phenomenal tennis right now and has already won the Australian Open this season – his fifth in total. His singles record this year is outstanding, winning 26 and losing just two contests. He has won both the Indian Wells Masters and the Miami Masters in the last month and will be eager to win back-to-back Wimbledon titles. Serena Williams will head into the Wimbledon tournament as clear favourite to win the 2015 women’s singles title and claim her sixth crown at the event. Like Novak Djokovic, Williams is in tremendous form this year and is yet to lose, while winning 18 matches. She won the Australian Open for the sixth time at the start of the season and it would be tricky to look elsewhere for Wimbledon – which is arguably her best event. If she performs at her very best, Maria Sharapova is more than capable of winning the crown, but as of now – it is definitely Serena’s title to lose.